Revolutionary. 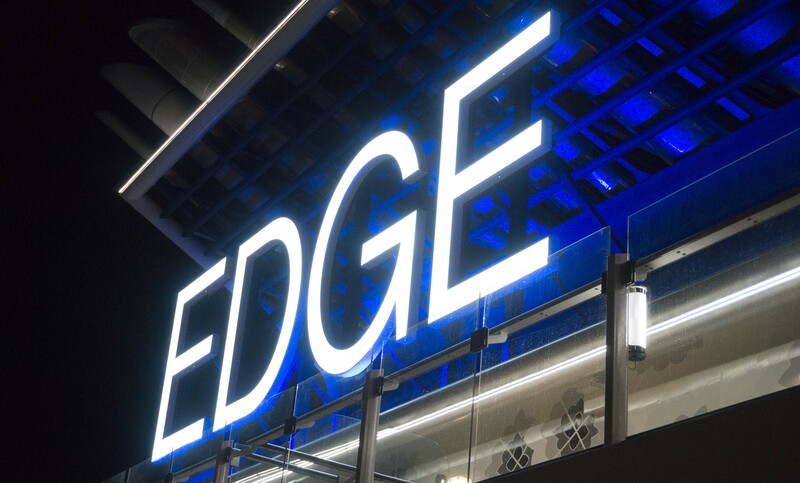 It’s the one word that best represents the Celebrity EDGE, launched to critical acclaim in 2018. Everything on this ship is state-of-the-art. Everything is beautiful. 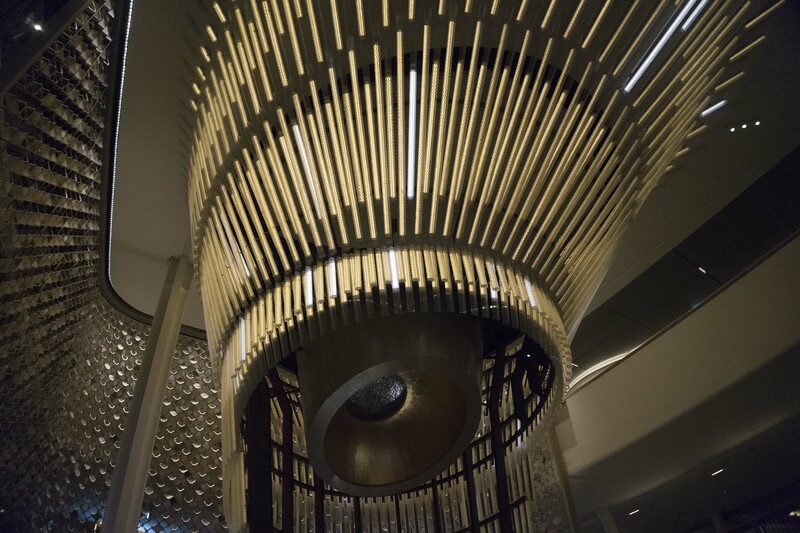 Everything is designed to make guests’ experience truly unforgettable. From the moment you step onboard the EDGE, it becomes apparent that this isn’t “just another cruise ship.” With their team of world-class designers – many of whom hail from outside the cruise industry – Celebrity has created not just a beautifully appointed ship but a water going work of art. The Grand Plaza, located right in the heart of the ship, hearkens back to the Roaring Twenties, with art deco lines and the glitz and glam of a three-story chandelier. Meanwhile, the Magic Carpet, a cantilevered platform with attached bar, gives guests stunning views as it glides 13 stories above sea level along the side of the ship. Nothing on the ship is ordinary. Nothing is expected. Perhaps most unexpected is Celebrity’s Infinite VerandaSM design, which turns the concept of a traditional oceanview stateroom on its head. Invite the outside in with a touch of a button. Marvel as the oversized windows slide open, transforming your entire stateroom into a veranda and allowing you to walk right to the water’s edge. The sound of the waves crashing below your veranda enhance the beauty and simplicity of the stateroom itself, which has been designed with the modern traveller in mind. 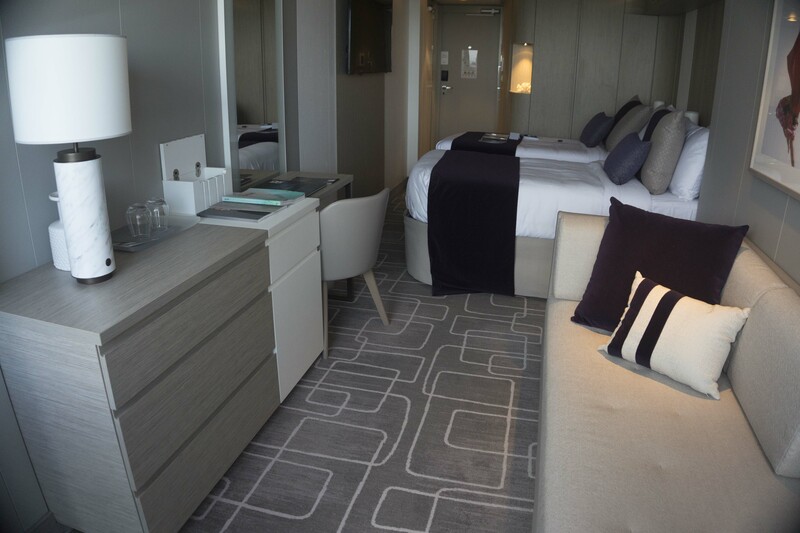 Contemporary furnishings, generous bathrooms and high-tech touches give the EDGE’s staterooms a fresh, sophisticated flair. One of the key concepts of EDGE’s design is allowing guests to experience the world in a new way. There is perhaps no better example of this concept brought to life than in Eden, the ship’s transformative dining and entertainment venue. Located at the rear of the ship, Eden is three stories of glass-wrapped nature-inspired wonder. Watch as Eden transforms throughout the day, shifting from a relaxing lounge to an energetic hot spot to an experiential performance art venue in the evening. It’s equal parts chill and playful, with just a dash of wicked thrown in. There are almost too many revolutionary elements of the EDGE to list, but rest assured, this ship also delivers on the world-renowned, globally inspired dining, thrilling entertainment and high-end onboard shopping that Celebrity guests have come to expect. It’s a ship that is pushing the boundaries of modern cruising and setting a new and exciting precedent for oceangoing travellers. To learn more about the EDGE and to get started booking your next cruise, connect with one of our travel consultants.